One obvious way to change a franchise is to change the players who are lacing up their skates each night. 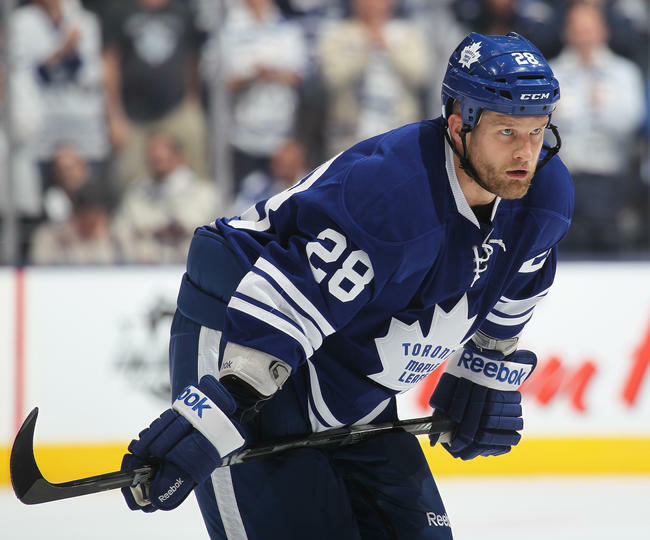 The changes the Leafs made this offseason resulted in the departure of Dave Bolland, Nikolai Kulemin, Mason Raymond, Carl Gunnarson, Tim Gleason, Jay McClement and Paul Ranger. These players were replaced with Mike Santorelli, Matt Frattin, David Booth, Leo Komarov, Petri Kontiola, Daniel Winnik, Roman Polak and Stephane Robidas. The new players have better advanced stats numbers than the players leaving, a trend which is becoming much more common among the franchises of the NHL and in pro sports in general. Overall, when you consider that Bolland only played 23 games for the Leafs last season and therefore was hardly a difference maker, the players coming in do appear to be poised to make the team better than last years team. The Leafs this year seem to have more depth and versatility than last seasons team. The ability to consistently ice four complete, competitive lines is becoming a necessity in the NHL. I did love the entertainment value of watching McClaren and Orr leave it all on the ice, but the days of enforcers whose only purpose is to fight the tough guys of the other team seem to be numbered. In that respect, the culture has been changed by the type of players that the Leafs will put on the ice this season. However, the core of the team, the players who played the most last season is still intact. So as much as I applaud the low-risk moves to enhance the depth and versatility of the team, which may have been the only problem on an otherwise young and talented group; there is only so much culture that can be changed while a teams core remains intact. Nonetheless, if this team is not successful this season, I believe there will be significant changes to the core next off-season. In addition to the on-ice personnel changes, the Leafs also shook up the front office. Firstly, two of the biggest headlines concerning the front office may actually regard moves that did not happen. Dave Nonis and Randy Carlyle, the General Manager and Head Coach respectively, were retained. As with the core players of the team, there is only so much culture that can be changed without removing those who influence the team the most. So, if this season is not successful and the Leafs do not make the playoffs, I believe Carlyle and Nonis will be fired. The biggest addition to the front office came when Brendan Shanahan was brought in as the new President of the Toronto Maple Leafs. 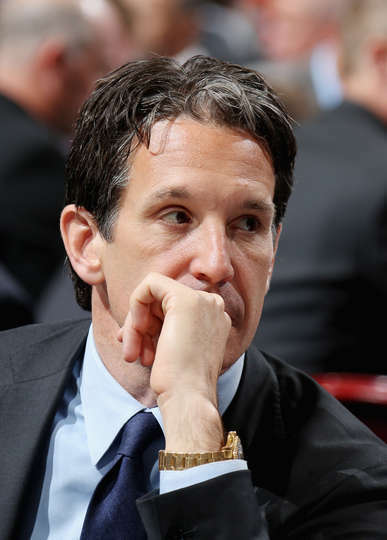 Although Nonis was retained as the teams General Manager, I would say it is a safe assumption that Brendan Shanahan is now calling the shots. Shanahan has spent the last few years working as the NHL Director of Player Safety. A job where his every decision was scrutinized, a trait which is essential for the success of any figurehead of the Leafs. The management changes did not stop there; Assistant General Managers Dave Poulin and Claude Loiselle were relieved of their positions and replaced with Kyle Dubas, a 28 year old with no NHL experience. Additionally, Brandon Pridham was hired as an assistant to the General manager and Darryl Metcalf, Cam Charron and Rob Pettapiece were brought on as advanced stats analysts. The coaching staff was also adjusted as Dave Farrish, Scott Gordon and Greg Cronin were fired. They were replaced with the now former Toronto Marlies head coach Steve Spott as well as the former interim coach of the Florida Panthers Peter Horacheck which should change the style of play on this team drastically. Dubas who has been deemed by many to be a statistical genius is a huge advocate for advanced stats and left his job as the General Manager of the OHL’s Soo Grayhounds to join the Leafs. Pridham has spent the last fifteen years working for the central scouting department of the NHL and is expected to handle the salary cap for the Leafs. Metcalf was the previous owner of Extra Skater, an advanced stats website which was bought buy the Leafs along with his hiring. Charron and Pettapiece were previously sports writers before they were scooped up to work with Metcalf in the newly formed advanced stats department for the Leafs. These front office changes are seemingly where the majority of the culture change has taken place. The Leafs are moving towards the young field of advanced statistical analysis with the additions of Dubas, Metcalf, Charron and Pettapiece and away from the trust your gut and hope for the best approach. Additionally, with Shanahan, the Leafs have gained a young executive who has been successful at every stage of his career and looks poised to carry that record onto a team that is starving for it. 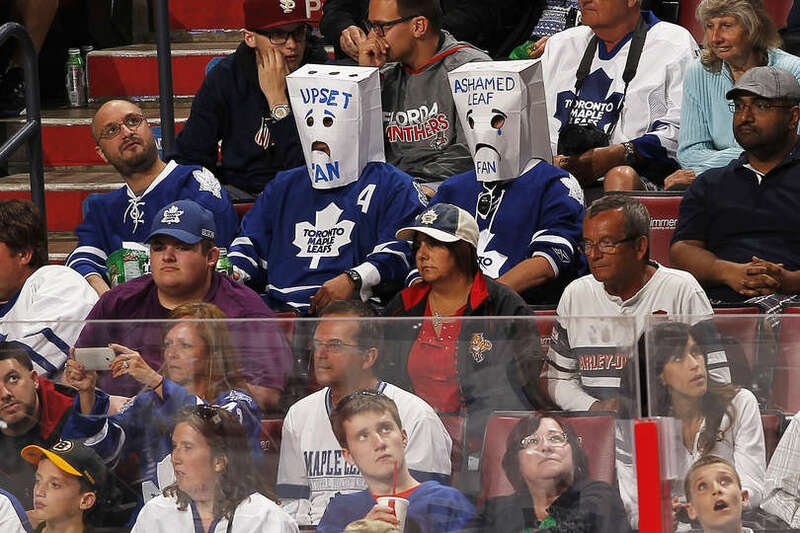 The Leafs appear to have made some huge strides towards long term success with the moves in the front office. The player changes, although not exactly earth shattering, coupled with another year of maturation for the young core, will certainly help the team compete for a playoff spot this year. As far as I’m concerned the management and player personnel changes are huge positives. Ultimately, I do think that there has been enough change for the Leafs to return to the playoffs this season and avoid a stunning collapse similar to last seasons. However, I do not think enough has been done to make this a truly dangerous playoff squad and that is where I am placing my faith in the new management team, to gradually improve the team to that point where they can compete for the Cup, without mortgaging the future.